The Wave Cutter is a new rowing boat designed by Race1 to make rowing more fun than ever. The Wave Cutter is a new rowing shell crafted from high-density polymer. 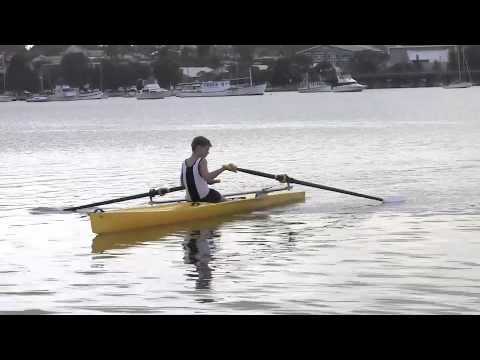 It is unbreakable and versatile, and perfect for novices or recreational rowing. It features an indestructible hull and a remarkable range of standard features. The Wave Cutter handles just like a regular scull and is lightweight due to a breakthrough in construction technique. The Wavecutter comes ready to row with anodised aluminium wing rigger, padded double action seat and clog style foot stretcher. Stackable storage cradles $180 a pair inc GST. Easy roll trolley to wheel your WAVECUTTER to the water $120. Traditionally, rowing has been a “Serious” sport, driven by the needs of athletes only. Rowing boats for recreation have - quite simply - never existed. The Wave Cutter will open up waterways for a lifetime of enjoyment. 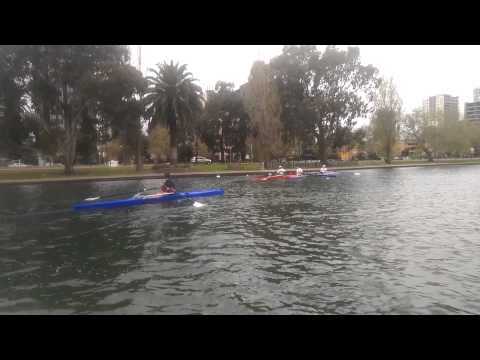 Most recreational rowers are returning to the sport having once rowed at school or a club. But even if you haven’t rowed before you’ll be amazed at how quickly you pick up the skill when you choose a Wave Cutter. 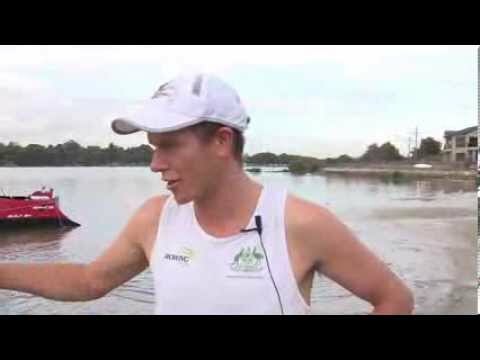 One of the problems with rowing in conventional boats is that it is only fun when the water is very flat. However most waterways will have times when the water is wavy or lumpy (sometimes more often than not). For instance, Sydney Harbour is a delightful place to row, but the ferries create wash. Port Phillip Bay is too, but often succumbs to a bay (wind) wave. Rivers that generally have flat water may have motor boats and jet skis that create wakes and washes. When you choose a Race1 Wave Cutter you will truly enjoy every outing. The wider hull shape gives extra stability. The boat rigging can be set high to allow easy clearance for your oars. The plumb bow of the Wave Cutter and the shape of the Wave Cutter Elite allow you to slice through waves head on. Individuals who want an all-weather boat you can enjoyably row anywhere and in all conditions. 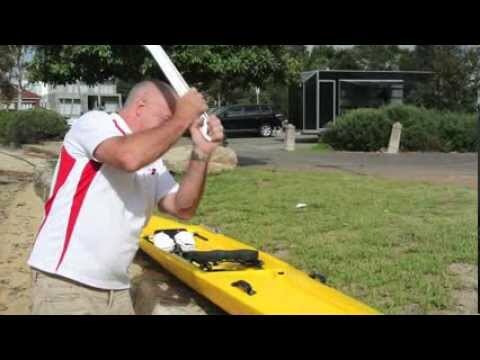 Rowing Club boat masters who want a robust and proven hull for training new rowers. School Rowing Programme Directors who want to make their novice programme more effective, quickly providing them with a pool of capable rowers. And anyone who wants to save money on their early stage rowing programmes. Fits easily in a standard garage for simple storage. Lightweight for easy handling by anyone.